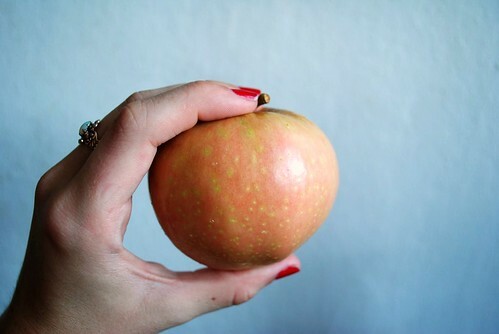 I am eternally on the hunt for the perfect apple. So imagine my delight when an employee at Whole Foods asked if I wanted to try a pink pearl apple. I had seen them earlier and dismissed them, judging their yellowish mediocre-looking skin. 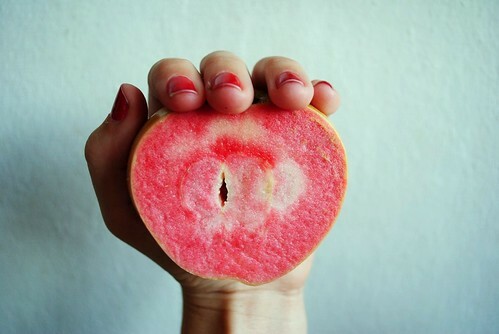 He cut into the apple, and it was bright pink. This was already exciting enough for one day, but he went on to tell me that they are super tart. I didn't get my hopes up since nothing is ever tart enough for me (Warhead contest anyone?) but I bit into it and it actually was super tart; my eyes watered a little out of sheer shock and happiness. I wanted to hug him. 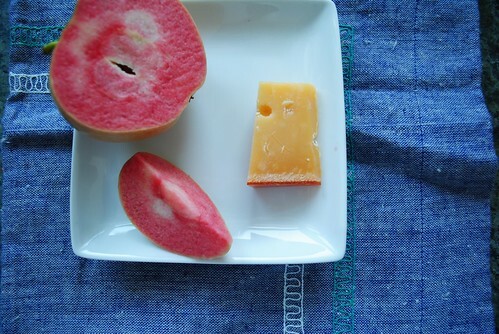 But instead I grabbed ten apples, picked out some aged Gouda, and went on my merry way. P.S. 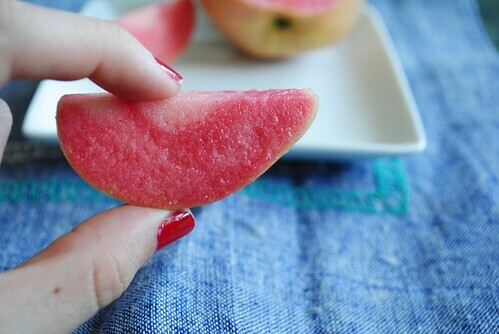 I love how the slices look like teeny tiny watermelons.